It is very easy to uninstall eg remove the MultiClipBoardSlots from your Windows 10/8.1 or other Windows Operating Systems! For portable use, please create or copy in MultiClipBoardSlots working directory the MultiClipBoardSlots.ini. 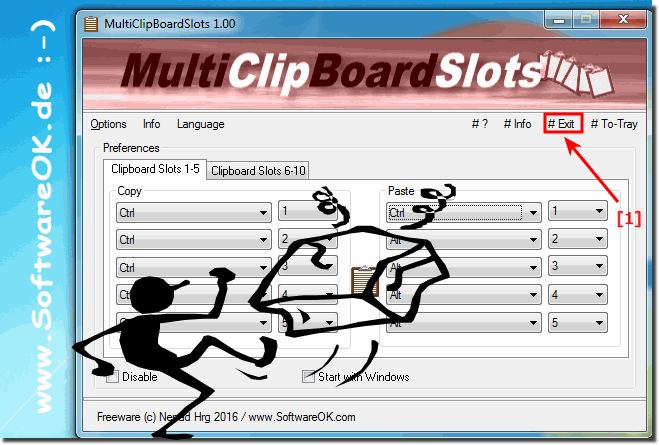 MultiClipBoardSlots - FAQ-1: How can I uninstall the MultiClipBoardSlots from Windows OS!